So it's been a little over a month since my 24 day challenge ended and I just wanted to post a picture of my scale which not only shows I have been maintaining my weight but have actually lost more!!!!! 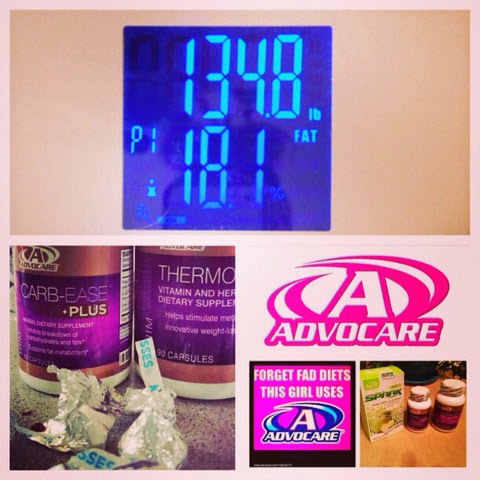 These products and the challenge have seriously changed my life. Oh carbease and catalyst how I love you! I could talk these products until I am blue in the face, not because I sell them but because THEY WORK! Never in my life did I think I could see numbers like these.